Not only will a good pair of bracers help to keep your arms safely defended but they can also enhance your personal style too. And nothing says awe-inspiring quite like these Dragon Slayer Vambraces and their incredible scaled detailing. 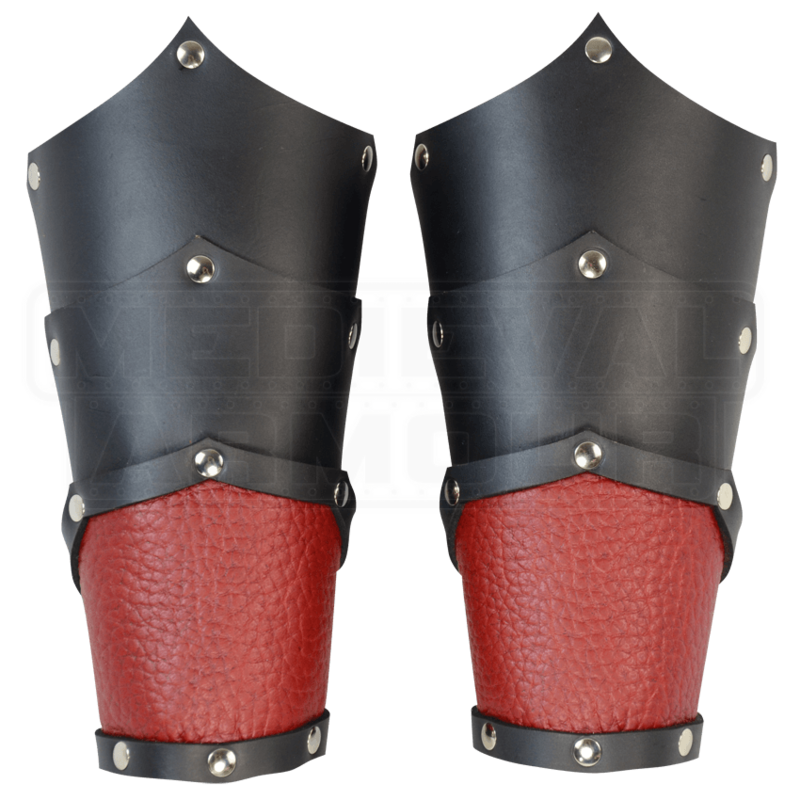 Layered leather scales and symmetric jagged edges give these bracers a draconic look while the subtle soft scaling on the bracers wrist offers an enhanced look similar to fantasy-made dragon leather! 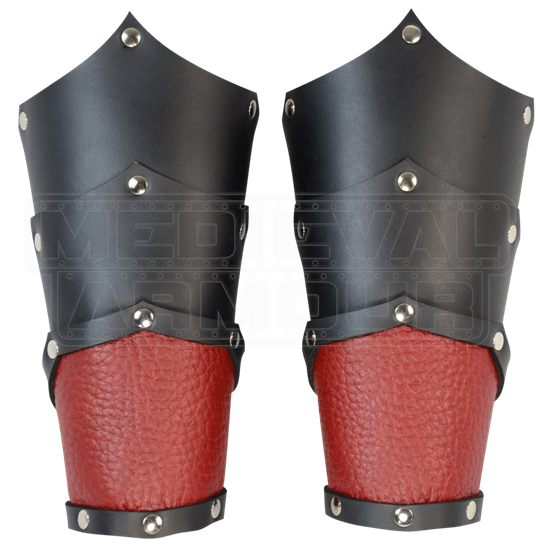 The bracers are sold as a pair and attach to your arm with speed lacers and leather lacing, which allow them to be pulled tight and tied with ease. They are hand crafted and hand dyed using 7/8 oz. leather. For a distinctive and unique touch to your attire, a pair of vambraces might be just what you need. And these Dragon Slayer Vambraces are an unforgettable pair that will accent your look, keep you safe, and impress all those who see them! When selecting colors, the first color listed is for the main part of the bracers. The second color listed is for the accent area at the wrist.